Explanation: Galaxies dot the sky like jewels in the direction of a mass so large it is known simply as the Great Attractor. 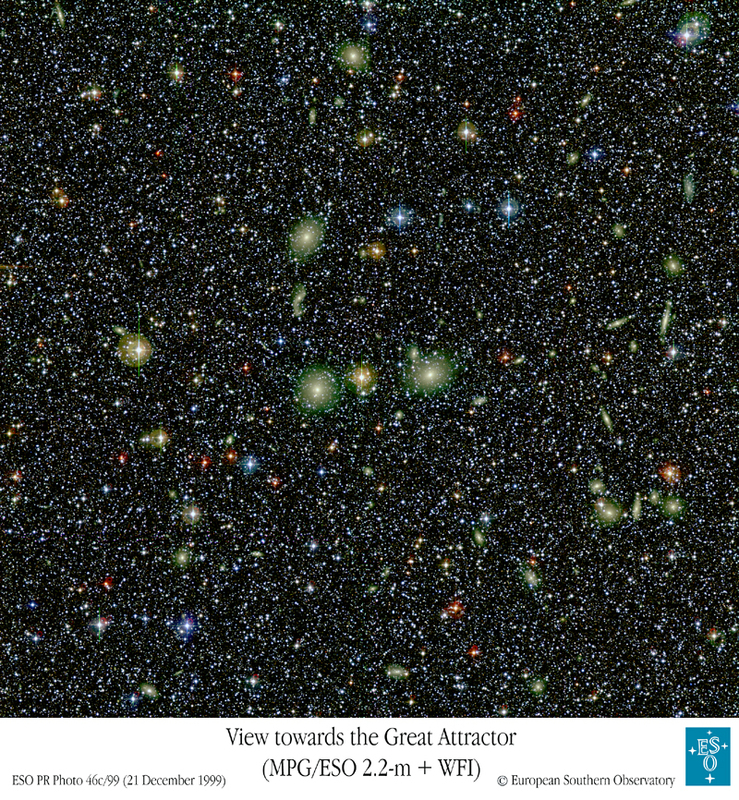 The galaxies pictured above are part of a cluster of galaxies called ACO 3627 near the center of the Great Attractor. Previously, this cluster of galaxies, also known as the Norma Cluster, was largely unstudied because dust in the disk of our own Galaxy obscured much of its light. 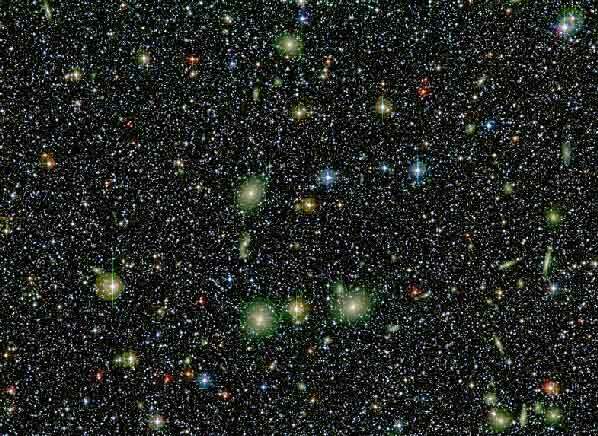 The Great Attractor is a diffuse mass concentration fully 250 million light-years away, but so large it pulls our own Milky Way Galaxy and millions of other galaxies towards it. Many of the galaxies in ACO 3627 are slowly heading towards collisions with each other.